Well, the union jacks are off the wall! I got one of the swap machines for the Quilter's Garden Row Swap in the mail and added it with mine to the wall. Only one more of those coming in the mail and I'll put the row together. And they take up a lot less space than an assortment of real-life vintage machines. 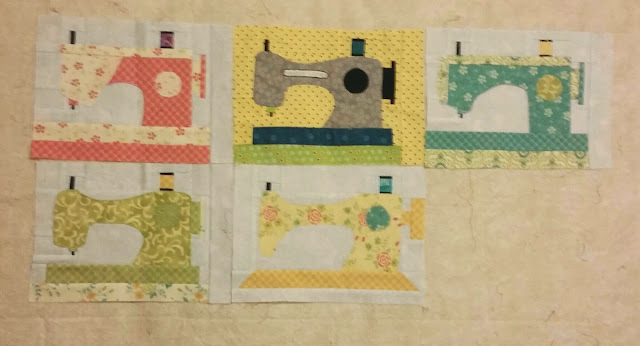 I just can't get enough of those little sewing machine blocks! I like the Sewing Machine blocks. They will make a very nice row for your quilt. I sure love the looks of that design wall! Love those sewing machine blocks! 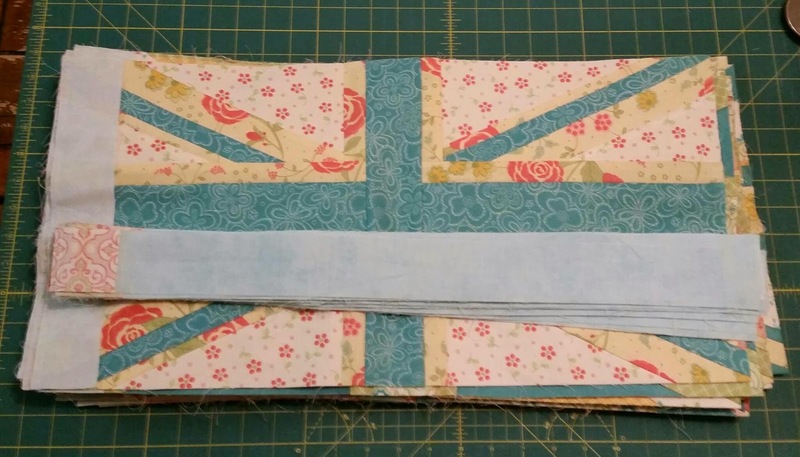 Your fabric choices are so, so pretty! These sewing machine blocks are so cute. I've seen them on another blog and they really have personality. 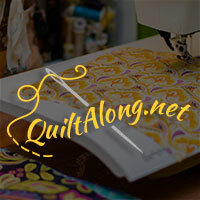 Love your sewing machine collection - one I can afford. They are so colorful. Have you named each one?